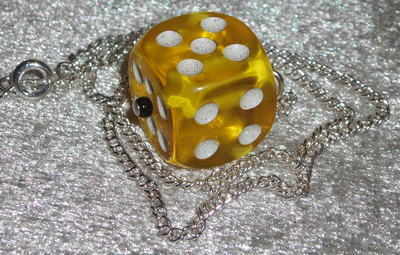 Bright and fun coloured dice pendant on silver plated chain. Choice of dice colour and chain length. Real dice from Las Vegas, up-cycled to make funky pendants. Very Kitsch and Rockabilly. Matches the Dice Earrings.